The Bajaj Discover onslaught continues unabated and the latest is the new 100M which makes its intentions clear - the M stands for mileage. 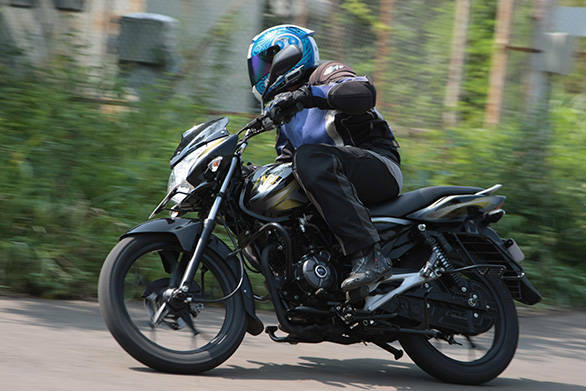 Available in disc and drum front brake variants, Bajaj says the bike will play in the mileage segment one step off the bottom, a segment that, according to the Pune-based manufacturer, accounts for 46 per cent of the Indian motorcycle market. 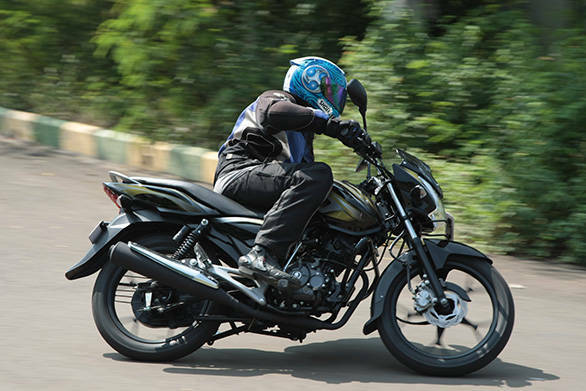 The Discover 100 and the 100T also play in this segment, but so far market share is 20 per cent and Bajaj wants more. Will the 100M deliver? Let's find out. 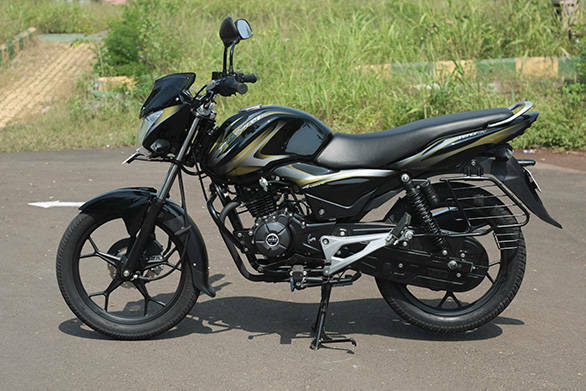 Bajaj have chosen to stick with the design of the Discover, but the 100M is smaller than its siblings. 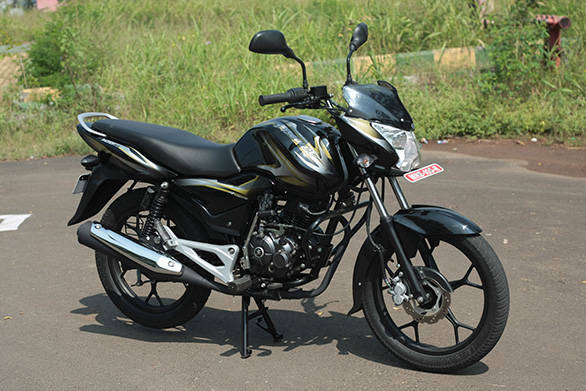 Bajaj have chosen to stick with the design of the Discover, but the 100M is smaller than its siblings. The biggest clue is the tank which is dimensionally smaller than its other eponymous siblings though it is the same shape overall. Similarly, the seat is also shorter in length end to end and so forth. The overall impact of the motorcycle dissipates a bit because it might be a new bike but it manages to look startlingly like every other Discover. What familiarly breeds in this case is up to you. Strong visual associations can reinforce the values a brand stand for, but it can also cause ennui and disinterest. What is also the same, and this is a good thing, is that the 100M, despite the lower intended price, is as well made as any of the other Discos, be it in terms of finish levels or in terms of paint quality. The undersquare 102cc engine is based firmly on the new Discovers but has been retuned for economy, trading in a bit of power in the process. That said, the 9.3PS at 8,000rpm is still better than almost everyone else in the segment. What is really impressive though is the torque. The motorcycle makes 9.02Nm at 6,000rpm, but it's a much flatter curve, says Bajaj. In the real world, this bears out because you can ride the motorcycle really quickly and smoothly without using the revs for support or a lot of gearchanges. During our economy run - 68.05kmpl in the city - the Discover felt rapid through traffic, though the revs were being kept tightly in check. The gearbox also is more precise in shifting, though I still don't like all-up shift pattern. First feels a bit low in gearing terms but with a light clutch and nice spread of torque, this is an easy, calm motorcycle to commute on. Top speed is 92.4kmph. There is, however, just a hint of vibration in the pegs in some parts of the rev range and the vibration really becomes noticeable once you cross 70-80kmph, but it's a sensation that exists not an annoyance. Given its intended role, I was expecting a softer motorcycle but the 100M isn't. This is the newest part of the motorcycle. It is a little hard to believe that a motorcycle that has the 26.5 degree rake and 0.6mm less trail than the 100T is a new platform. But Bajaj say it is. They started with the intention of using a smaller wheelbase - the 100M spans 1255mm to the 100T's 1305mm - but ended with more or less the exact same front-end geometry as the 100T. On the other hand, the swingarm has dropped from the 527mm of the 100T to 495mm on the 100M. The frame itself is the same configuration, a single downtube that splits into a twin-tube cradle underneath the engine. What I was surprised by is the stiff-sporty feeling from the 100M. Given its intended role, I was expecting a softer motorcycle but the 100M isn't. It feels stiffer and while it absorbs bumps it feels taut. Handling is also, similarly, extremely agile. Slicing through traffic is as easy as pie and the 100M really flies through traffic if you are in that kind of mood. 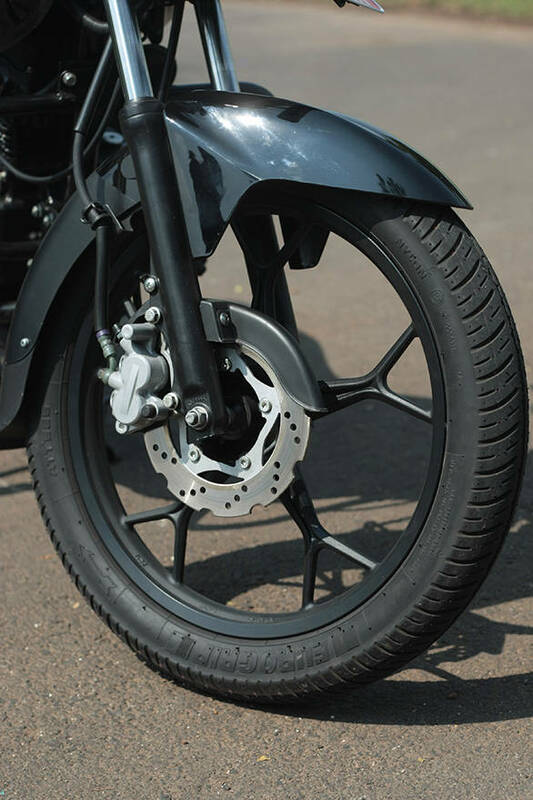 Adding to that sense of sportiness is the front disc brake, which is set up with a strong initial bite. A softer fork setup might have caused excessive dive, but as is, the 100M feels great on the brakes, although I think new riders using their first disc brakes will need to learn the nature of the disc before they can use it effectively - it's just the slightest bit too sharp on the initial bite. It sounds odd but while the Eurogrip tyres on the bike are far better than Eurogrips from as little as two-three years ago, I'd bet that the 100M on stickier tyres would actually be very interesting to ride quickly around a twisty stretch. The 100M is a neat motorcycle that understands its role but brings a bit of sizzle with a bit of extra power, lots of torque and extremely agile handling to a generally staid, economy and value-oriented segment. Its price, Rs 49,000 ex-Delhi for the disc version and Rs 46,000 ex-Delhi for the drum variant, puts it in the cutthroat ballpark that is home to the likes of the Dream Yuga, Dream Neo, Splendor Pro and the Passion Pro. Almost literally the heart of the Indian motorcycle market. Its fortunes will be closely watched and have big implications. 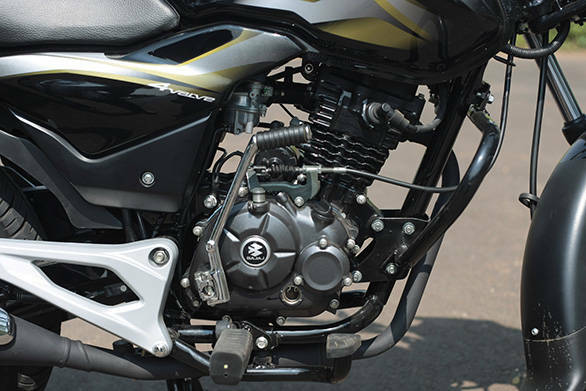 Bajaj also indicated that they are expecting some cannibalisation between the 100M and the (older) 100 which remains on sale at about Rs 1,500 less than the drum 100M. They'd be happy to see the market move whole and soul to the 100M. We think the 100M is a very interesting economy segment option and we feel a full-on 100cc segment comparison test is now due.